"In a nutshell, these small job boards are great places to start looking for your next career or find your next employee." With the design and development assistance of Phraction, Eric Olson and I launched a job board at our last event TECH cocktail 2. 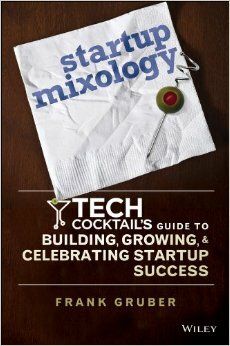 The goal is to help better connect our supporters with niche tech/biz opportunities - or as we like to call them TECH cocktail Specials (techcocktail.com/jobs). Though the site says it is only $30 for a 30 day listing (about a dollar a day), I wanted to make it clear that we only are charging to help keep the riff raff (spam listings) off of the site and raise money to help support our TECH cocktail events. However, we have a promo code that we can give you and you can post as many job listings as you would like for FREE! Yes, you read that correctly, post your job listings for FREE! You are probably wondering why we would want to jump into such a competative, segmented market of niche job boards. Well, it is simple: after the first TECH cocktail event both Eric and I received a number emails asking us to help them connect with developers, designers and product gurus. So rather than play HR matchmaker, which could be a full-time job, we decided we would launch a job board. Eric and I really want to see this board grow to help better connect the tech/biz community. So please feel free to reach out to us for that promo code and post a TECH cocktail Specials job listing today!